The samosa or shingarar in South Asia, sambusak, samsa or somsa in Turkic Central Asia, sambusa among Egyptians, Ethiopians and Somalis, sanbusa among Iranians is a stuffed pastry and a popular snack in South Asia, Southeast Asia, Central Asia, the Arabian Peninsula, throughout the Mediterranean (Greece), Southwest Asia, the Horn of Africa and North Africa. It generally consists of a fried or baked triangular-, half-moon-, or tetrahedron-shaped pastry shell with a savory filling of spiced potatoes, onion, peas, coriander, lentils, or sometimes fresh paneer. 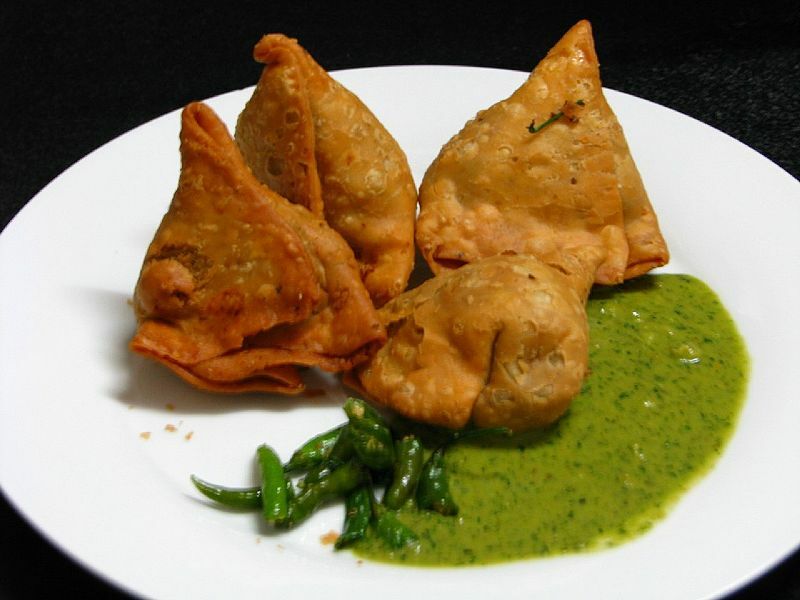 Non-vegetarian samosas may substitute fillings of minced meat or fish. The size and shape of a samosa as well as the consistency of the pastry used can vary considerably, although it is mostly triangular. They are often served with imli chutney or curd.